There’s nothing better than summer, and summer’s almost here! I mean, seriously…there’s nothing better than summer. There are parties and barbeques with family and friends, there are carnivals and fairs, sparklers flashing and sprinklers…sprinkling! There are camping and campfires and swimming and beaches and, seriously, just an endless list of things that summer consists of. Summer’s great, and it’s no question that we don’t want anything to ruin our summer, and I hate to break it to you, but there is something that could put a bit of a damper on your good times. House troubles. Now, I’m not talking about it being unclean or a drain needing to be fixed, I’m talking large-scale foundation problems. And one of the biggest foundation problems is leaning chimneys. If you have a leaning chimney in Ohio, look no further! 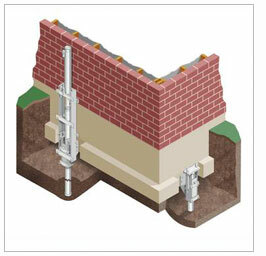 Matthews Wall Anchor & Waterproofing is here to help! 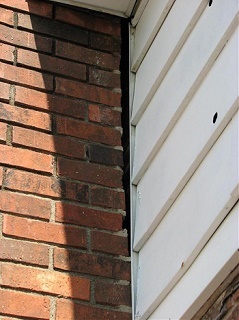 Leaning chimneys are usually caused by insufficient soil or water/drainage problems. They lean dangerously towards the house or away from it, and most people won’t notice right away. If you’re leaving the house in a rush with breakfast still in hand, you’re not going to look back and see if your chimney’s conspicuously leaning. That just doesn’t happen. And that’s why they can be such a problem. The longer foundation problems go unnoticed, the more expensive they can be. Fortunately, we have many options to choose from when it comes to fixing your problems! We offer helical piers, helical tiebacks, push piers, slab piers, porch piers, and many more! Also, some signs to look for to make sure your home isn’t taking on other foundation problems: bowing walls, cracked walls, sticking windows or doors, windows or doors that seem out of place, and sloping floors. Your home is important to you, and that’s why it’s important to us. So, don’t hesitate! If you have a leaning chimney in Ohio, call us now!